/ Catechisms and articles / Why did Christ have to die for us? Why did Christ, the most and only Innocent, have to face the worst form of death, the death on the cross, in order to reconcile man to God the Father? 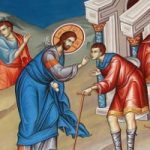 Did Christ truly rise from the dead? What would our lives have been if Christ had not died for us? 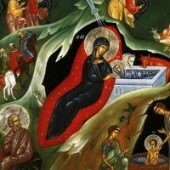 In order to understand the importance of Christ’s Sacrifice, one must know the reason for His coming into the world. In accordance to Holy Scriptures, man was formed by God out “of the dust of the earth” (Gen.2:7) and was made in the “image and likeness” of God (Gen.l:26). Man was placed as the King of all Creation in the Garden of Eden (Gen.2:8). Man was made in the “image” right from the beginning and had the ability to achieve the “likeness” of God through virtues and perfect obedience to God’s Will. Man was made by God to live a godly life on earth. The first man had no obstacle to God’s knowledge and could see through his purity the Word of God with his logic. Being made by such and Holy God man lived in a sinless condition and received the voice of conscience. Man was able NOT to sin, but at the same time had the freedom to sin. Sin was not in man’s nature, but in his free decision. In other words, in how he would use his free will. Man before the fall, was in full harmony with God’s Holiness and was proceeding towards the destiny of being in the “likeness” of God through obedience and holiness. In Adam all virtues were not complete, nor was holiness permanent and fulfilled. Adam’s original state, before the Fall, was a condition of Grace living in God’s presence. Man was called not only to remain in such a state, but to progress in virtues cultivating his free will with God’s assistance. Unfortunately man disobeyed God’s Commandment and ate from the Tree of Knowledge of “knowing good and evil” (Gen.3:6). Man’s fall is greater than realised, because it was so easy for the Protoplast (first created) to follow and obey. There was no excuse. Secondly, man received the Commandment from his Creator, but he trusted the words of the creature, the serpent. Eve was not tempted, but allowed herself to be tempted, which resulted in the Fall. The advice which the serpent gave to Eve was an act of rebellion against God. The purpose of testing the forbidden fruit of the “tree of knowing good and evil” was so that both Adam and Eve “would be as God” (Gen. 3:6). Satan deceived Eve to fall into the same sin by which he had fallen before the visible world was created (Is. l4:l2-l6). Lucifer and Eve wanted to grasp in becoming equal to God and to rise above God’s Glory, but without God. They wanted to compete in grandeur with God’s Majesty. Sin began when man misused his free will and broke God’s Law. His heart was filled with evil desires. Pushed away from God’s Love, man’s heart was conquered by egoism. He placed idols of false gods where the True God was. Before the Fall, God was the centre of man’s heart, feelings, thoughts, decisions and actions. But from the time he decided to violate the Law, man’s ego became the centre of his heart. Man became sinful, selfish and egocentric. He worshipped himself and demanded that all others around him should participate in this worship which he offered to his self-deified ego and image. In the darkness of selfishness, man believed that he truly loves and serves God, but in reality he thinks, wishes and acts contrary to true love. 1) Man lost his innocence and the garment of natural holiness. Therefore he took “fig leaves” to cover his nakedness (Gen.3:8). 2) God’s Grace, which before gave man the strength to develop virtues and justice, had been removed. 3) The ability of remaining sinless, innocent and eternal was lost. 4) The first couple deprived themselves from communicating directly with God. 5) Fear and guilt entered man’s heart. 7) Man accused God of being responsible for his fall. He blamed God for giving him Eve as his wife (Gen. 3:l8). This is the Original or Ancestral Sin. Man, becoming selfish, believed that he could become equal to God! But instead he became a slave to sin and was under the tyranny of death. Because God loves mankind and does not want to see man being destroyed, He gave man the hope, which is foretold in the “Proto-envangelion” (=First Good News). Satan will be crushed by the Woman’s seed (Gen. 3:l6). This reassured that man’s fall was not irreparable. In man’s nature, after the Fall, powers and abilities remained by which, in Christ’s human nature, man’s nature would be restored to the state from which it had fallen. The punishment of death was an expression of God’s Love towards the fallen man. Sin will NOT be forever, eternal. Consequently, man was exiled from the state of God’s Grace to the earth of which he was taken and was placed in the condition of labour, ruin, sinfulness and death. All the human race participated in the Fall of the first couple. The Original Sin is passed down from one generation to the other. In order that mankind be redeemed from the consequences of the Fall and regain its inner peace, there was a great need to achieve its reconciliation with God. The reason for man’s creation was to be in an unbroken communication with God. Only in such a state will man be truly happy and able to fulfil his destiny. But, when he was separated from God because of sin, he fell from his destiny. In all religions, especially in the Monotheistic religion of the Old Testament, reconciliation with God was believed to be achieved by the offering of sacrifices of blood. Before man could speak to God, he had to offer a sacrifice for his sins. For those who soughed reconciliation with God it was in these sacrifices of blood that they achieved it. Because they had nothing more precious to offer than their own life, they offered sacrifices of animals and through the offering of blood they were acknowledging that they themselves were worthy of death. In the book of Leviticus, God says: “For the life of flesh is in the blood, and I have given it to you on the altar to make an atonement your souls” (Lev. l7:11). The blood of the sacrificed animal was sprinkled first on the altar and was accepted by God as an offering on behalf of the soul of the person who offered the sacrifice. Then, it was sprinkled on the man to be forgiven of his sins and thus he was cleansed. Through the sacrifice of blood man received the right to participate in God’s worship and became a free member of His people. St. Peter, concerning the Sacrifice offered by Christ on the Cross, says: “He was destined before the foundation of the world, but was made manifest at the end of times” (l Peter l:20). God in His Foreknowledge knew what would happen to man and prepared in His Providence the Mystery of man’s salvation through Jesus Christ. It was entirely God’s decision the way through which His Justice and Holiness would be satisfied, because of the insult caused by man, and for the fallen man to be reconciled again with his Creator. It is a fact that the fallen and sinful man, although sincerely desiring to be free from guilt, was unable to achieve this without God. God stretched out His Hand to man and assured him that reconciliation can be achieved only through the Grace of God in Jesus Christ. 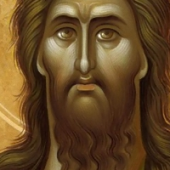 The sign of God’s Grace was the coming of the Unique High Priest, our Lord and Saviour Jesus Christ, the incarnated Word and Son of God the Father. He would actually be the only mediator between God and man. The true Messiah had to be both True God and true man in order to bring together those (God and man) who were separated by sin. The Messiah was to present man to God, and to make known God to man. If the Saviour was only God, or only man, the reconciliation would have been impossible to be achieved. If Christ was only man, then He could not save mankind, because He also would be bound by sin and would never be able to overcome the power of death. If He was only God, then He could not become the Mediator between God and man, because sin would have been conquered by God and satisfaction of God’s justice would not occur. The solution was that God had to become man. Through His incarnation He took up all human nature, but without sin. The incarnated Word and Son of God came into the world, spoke to man and assured him that peace had come, because He was to offer Himself for the salvation of the world. St. Paul teaches us saying, “When the time had fully come, God sent forth His Son, born of woman, born under the law, to redeem those who were under the law, so that we might receive adoption as sons” (Gal. 4:4). God sent His Son as Mediator and High Priest of the New Testament. The Mission of Christ was to reconcile the world with God through His obedience to His Father’s Will. He was to bring harmony to the Divine Holiness and justice of God with man. God could have saved and reconciled man directly, but He respected man’s freedom of will. He could have satisfied His Divine Will, but without the unique Sacrifice on the Cross justice would not have occurred. If God granted His saving Grace without His Divine Justice being satisfied, then the foundation of moral order of the world would be in disorder. Sin would stop being sin, if Divine Justice stopped demanding the punishment of sin. It was demanded from God’s Divine Holiness and Justice that a True Sacrifice had to be offered for the death of sin, in order for man to be regenerated in God in absolute obedience. It was essential that man, by his own free will, cut himself off from all connection with sin; in order to please God. Man regrets his previous sinful way of life and begins a new life of godliness, goodness and virtue in full obedience to God’s Will. No man could have offered this logical sacrifice. All were under sin and the shadow of death. All were deprived of God’s Grace and were unable to achieve redemption. Neither could any of the angels restore the fallen man and give to his nature holiness, because holiness is something outside the essence and nature of angels and is only received through their communion with the Holy Spirit. Therefore God achieved the atonement and salvation of the fallen human race through His Son, who became man. The Sacrifice of the God man should not be limited only in our Lord’s Sufferings and Death on the cross. It includes all His Life and it is a Sacrifice of absolute obedience to God the Father. Christ’s Suffering did not begin in Gethsemane, but in Bethlehem and reached the ultimate climax with the death on the Cross at Golgotha. The Sacrifice which Christ the High-Priest had to offer had to be perfect and acceptable to God. It had to be a logical, moral and spiritual sacrifice. The Sacrifice of our Lord on the Cross and the shedding of His Blood was that perfect Sacrifice, Unique and acceptable to God the Father, satisfying God’s Divine Justice. God is not pleased with human sacrifice, but Christ on the Cross showed the ultimate obedience to His Father. 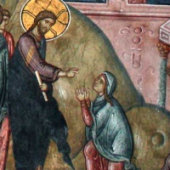 Christ says: “Lo, I have come to do Thy Will”. He abolishes the first Law of the Old Testament in order to establish the second, that of the New Testament (Heb. l0:9-l0). Christ offered the Sacrifice on the Cross not because He was forced to do so, but of His Divine Will, in order to set man free from death. Out of love for man Christ died on the Cross and opened the way towards God’s Kingdom. Thus, as through the disobedience of Adam, sin entered into the world and “death through sin and so death to all men because all men sinned (Rom. 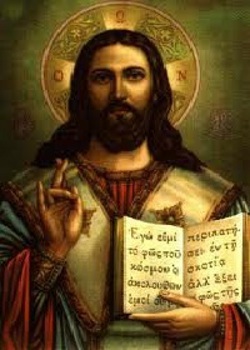 5:l2); likewise, through the obedience of the second Adam, Christ those who believed in His Name receive eternal life. Christ, in His human nature, renewed the nature of the human race, by taking on flesh without sin. He sanctified and united human nature with God, becoming Himself the Head of the Unique Body, His Church. 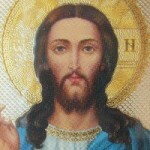 In Christ Jesus mankind was renewed because of the hypostatic union of the two natures of Christ the Divine and Human. The Word of God became man in order to sanctify man and bring him to the level of deity. Right from the beginning, Christ was proclaimed by St. John the Baptist as the “Lamb of God, who takes away the sin of the world” (John l:29). 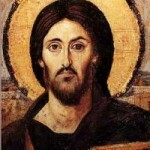 St. Paul says: Christ “was put to death for our trespasses and raised for our justification” (Rom. 4:25). God showed “His love for us in that while we were yet sinners, Christ died for us” (Rom. 5:8). If we are now justified by His Blood, how much more shall we be saved by Him from the wrath of God. “For if while we were enemies we were reconciled to God by the death of His Son, much more now that we are reconciled, shall we be saved by His Life” (Rom. 5:9-l0). Our Lord Himself assured us that He came “to give His life as a ransom for many” (Matt. 20:28). Christ, as the High Priest, came to die for our sins and the shedding of His Blood on the Cross has the nature of the expiatory Sacrifice. Christ being sinless because “the expiation of our sins” (1 John 4:l0), “He died for sins once for all, the righteous for the unrighteous, that he might bring us to God (l Peter 3:l8). As the sacrificial animals of the Old Testament took on symbolically and unconsciously the sins and guilt of those who offered them on the Altar; likewise, Christ became the Offeror and the One Who is being offered. By His own free Will, He consciously took up our sins, cancelling “the bond which stood against us” (Col. 2:l4). The Sacrifice of the Only Begotten Son of God was offered for all mankind because “God so loved the world that He gave His only begotten Son, that whoever believes in Him should not perish but have eternal life” (John 3:l6). Jesus Christ is the atonement not only for the faithful, but for the sins of all mankind. 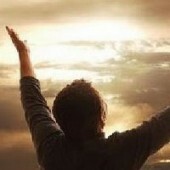 Christ died not for the select few only, but to take away the sins of all, and in order that man be saved through Him. Therefore, our Lord proclaims saying, “He who believes in Him is not condemned, he who does not believe in Him is condemned already because he has not believed in the name of the only Son of God” (John 3:l8). Christ died for all to save all, but not everyone’s sins are forgiven. 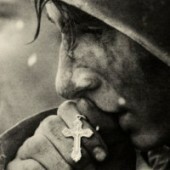 For, there are those men who refuse to accept Christ’s Offer of Salvation. The consequence of their unfaithfulness is their own condemnation. The Blood of the New Testament was shed for their salvation also and the washing away of all their iniquities. Because the iniquities of all sinners was not greater than Christ’s righteousness, nor have we sinned more than the righteous deed’s of Him who died for us, mankind’s sins are as a drop in the ocean when compared with the infinite Love of God towards man. Christ truly died on the Cross, because He was really man. He descended into Hades with His logical soul and the Logos; and was raised from the dead, because, as He assured us saying that the “ruler of this world is coming. He has no power over me” (John l4:30). In Hades Christ’s Spirit preached to the spirits of men achieving His first victory over the kingdom of Death. Therefore St. Paul teaches us that “God also had highly exalted Him, and given him a name which is above every name: that at the name of Jesus every knee should bow, of things in heaven, and things in earth, and things under the earth” (Philip. 2:9-l0). The importance of Christ’s descent into Hades showed that He is the Saviour of all, the living and the dead. No power in nature, or obstacle of time or space can come between Christ and finding the way to save mankind. He is the Saviour of all generations, before and after His incarnation. Christ’s Sacrifice has the power to save man, from Adam to the last to be born before His Second Coming. The Resurrection of our Lord was the evidence of His triumphant entrance into His Glory. Christ died, was raised from the dead on the third day, and lives for ever. He rules over the living and the dead. He overcame death and received in His Divine Authority, the keys of death and Hades and all the living. This is the greatest proof that the sacrifice offered on the Cross was accepted by the Heavenly Father. This is the guarantee, that our salvation was achieved and death was defiantly conquered. The fall of mankind was restored. In Jesus Christ’s Resurrection we greet the glory of His Kingdom to come. Christ’s Resurrection is a vision of the world’s final glory after the General Resurrection of the dead. It is obviously very clear that, if Christ had not come, mankind would not have been saved. Reconciliation would not have occurred and man would still have been under the slavery of sin and the shadow and tyranny of death. If Christ had not come, then man would be disbanding from the knowledge of the True God. By Christ’s resurrection the history of man was diverted from the way of destruction to the way of salvation. Each and every man is invited by Christ to participate in Him, by Him and through Him. “In Him”, means that man, through the Holy Sacrament of Baptism, becomes a member of His Holy Church. “By Him”, means that man should live the way of Christ’s life. “Through Him”, means that through the Grace of the Holy Spirit, granted by Christ through the Holy Sacraments of the Orthodox Church, man can be sanctified and saved. 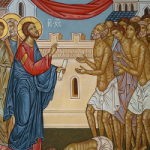 Man through canonical Baptism participates in the Death and the Resurrection of Christ. By accepting the general salvation which Christ offered on the Cross, we have to make it our personal salvation by using God’s Grace in our in our daily life imitating Christ’s life. Through Baptism, Original Sin is forgiven and reconciliation is achieved. If Christ never had come no-one would have been saved; the Church would never have been founded and no Sacraments would ever have been established. Thus it would have been impossible for man to achieve his salvation. Original Sin would have still been intact; and the insult which man threw at God would never have been removed. Through Christ’s Resurrection, man became a friend to God and all those who believed in Christ become friends with Christ (John l5:l4). Our friendship with Christ must be a friendship of obedience to His Commandments and a sacrifice of our free will to His Divine Will. By having the resurrected Christ as our personal friend we are assured that we are able to communicate with Him not only in our good moments of life, but especially in times of need. We often let Him down, but He NEVER lets us down. In our difficult moments, when we feel that is not around, He is always there for us, because He promised that: “I am with you always, even unto the end of the world”. Amen, (Matt. 28:20).